Royal Bali Collection South Sea Golden Pearl Tulangnaga Bracelet (Size 8) in Oxidised Sterling Silver, Silver wt 11.96 Gms. JARDIN COLLECTION - Pink Mother of Pearl, Hebei Peridot and Natural White Cambodian Zircon Enameled Floral Bracelet (Size 7.5 with 1 inch Extender) in Rhodium and Gold Overlay, Silver wt 6.87 Gms. Royal Bali Collection Mother of Pearl Bracelet (Size 7.5) in Oxidised Sterling Silver, Silver wt 27.80 Gms. A woman’s ensemble is incomplete until she adds a piece of jewellery to it and the most subtle way to do that is by wrapping a chic bracelet around the supple wrists. A bracelet is as indispensable as a pair of pumps in your shoe closet; add the sublime Pearl to the equation and it becomes a sight to admire. The only gemstone to be used as a synonym to beauty, a Pearl is the purest and most natural stone available on earth. Pearl with its natural splendour charmed its place in the treasure of Egyptian gods and jewellery of kings and queens for centuries. Owing to its origin, Pearl brings along the coolness and calmness of oceans and hence is perfect as the birthstone of the ‘sun-kissed’ month of June. Symbolising purity, innocence, humility and sweetness, this versatile gem makes a signature statement even when worn alongside other gemstones and jewellery. 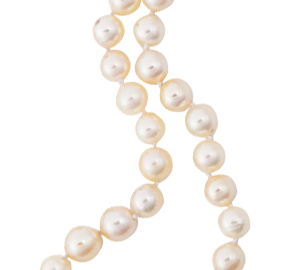 TJC crafts Pearl bracelets for the charming women of UK with Tahitian Pearls, South Sea Pearls, Japanese Akoya Pearls and Keshi Pearl, prudently accumulated from across the world. If you have been looking for an everyday piece that sits effortlessly on your wrist with the utmost elegance then consider your search ended with TJC’s freshwater Pearl bracelets. These timeless classic Pearls in the form of stretch beaded bracelet or charm bracelet casted in precious gold and silver are sure to glam up your look for every occasion. Team a sophisticated solitary mother of Pearl with stylish top or pair the strands in layers with a party number, these impeccable bracelets will never let you down. All the gorgeous ladies, build up that appetite for luxury because TJC’s collection of freshwater Pearl bracelets is nothing less. Pearls have the most diverse colour range which is derived from the inner elements of the oyster shells, and TJC brings to you the complete range from white, ivory, and pink to green, black, purple and even gold. An epitome of charm and elegance, a pink Pearl bracelet is your best bet for a luxurious feel that does not tag along hefty price tag. If you desire a look that is a class-apart, treat yourself with any of the magnificent black Pearl bracelets from our collection and turn some heads your way. Perfectly blending the traditional status of Pearls in modern designs, TJC puts on display an impressive selection of multi-coloured Pearl bracelets. A well-dressed woman will always have Pearls adding glamour to her jewellery box for they are not only the purest of gemstones but are also the most reliable. Don them as a fashion accessory or choose them as an expression of your distinctive style and elegance, they will never fail you. Another purpose that this feminine gem fulfils like no other stone does is act as the perfect gift for the women you care about. You need not look further than the stupendous Pearl pieces from TJC. Living up to what Coco Chanel said, "A woman needs ropes and ropes of Pearls”, TJC puts in extra efforts to spare the best ones for you.